Supervisor Scott Wiener released his long-awaited report on the “The Economic Impact of San Francisco’s Nightlife Businesses” at a hearing today, and few were surprised to learn that 77% of the spending on entertainment in the city was at restaurants. Only 4% was at nightclubs or venues with DJs. Claiming that “nightlife” attracts “over 80 million customers a year,” the Controller’s office survey included art galleries, bars and live theater along with restaurants and nightclubs. They reported that these establishments generated $4.2 billion in spending in 2010. Restaurants accounted for $3.2 billion of that total. The Union Square, North Beach and Chinatown areas of the city accounted for 36% of all spending on entertainment-related activities, followed closely by South of Market, the Embarcadero, Fisherman’s Wharf and the Marina with an additional 28%. Supervisor Wiener’s District 8, with its popular Castro district grouped in with the Mission and Potrero Hill, lagged far behind with only 8% of the spending. Entertainment establishments pay approximately $55 million per year in payroll and sales taxes, according to the Controller’s report. Restaurants accounted for nearly $45 million of that total. Live theater paid an additional $5 million to the city while nightclubs contributed approximately $2.5 million. Not surprisingly, the report concludes that 80% of San Francisco’s nighttime economy is concentrated in the tourist areas in the northeastern sector of the city and that 57% of nightlife patrons in these areas were visitors to San Francisco. 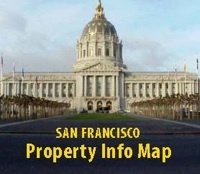 The complete report is available at http://co.sfgov.org/webreports/details.aspx?id=1394.